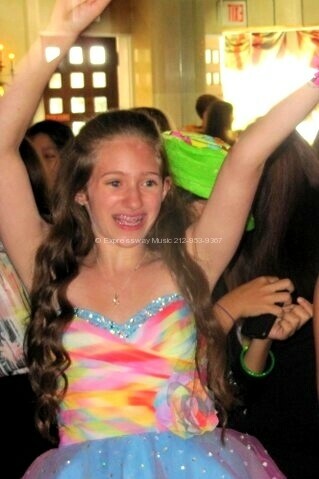 Hannah and her family and friends celebrated her Bat Mitzvah Saturday at the Swan Club in Roslyn Long Island NY. This was predominately a Kids Party and Hannah’s 80 friends had a blast!! For Cocktail hour the kids sang Karaoke…all styles..from Broadway to Cee Lo! 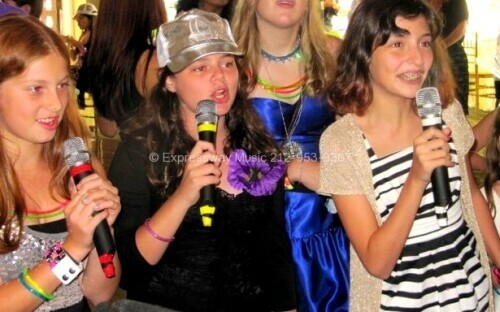 Check out this video of Hannah and her friend singing a song from High School Musical. The DJ and Karaoke Music was provided by Expressway Music DJ Dave Swirsky, Emcee and Expressway Music dancers Stevie and Julie. 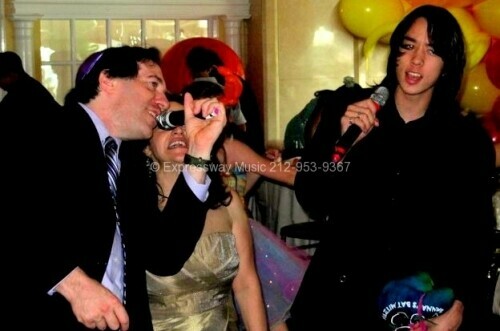 Hannah’s Dad, Mom and brother singing the last song of the night “All you need is love” by the Beatles. NYC and LI photographer Robbie Michaels did a great job capturing all the great shots of the party. Thank you very much to Josh and Nina. It was a really special day!! I know that I already thanked you somewhat informally, but I wanted to sit down and write you a more “formal” thought-out thank you note. 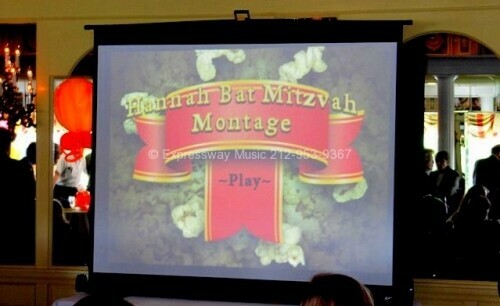 I just wanted to again thank you and your team for making Hannah’s bat mitzvah such a success. I did not have a gigantic budget for the event, but I knew the dj would be the key, and I had to find the right one. 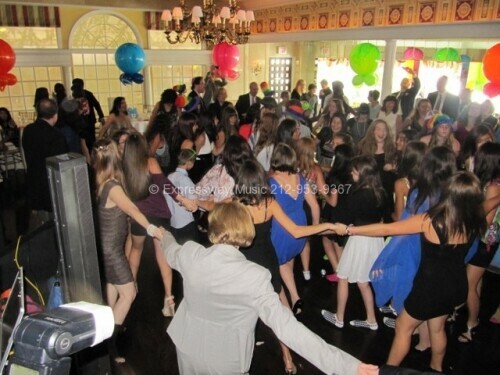 I envisioned a unified party, from the grandparents to the kids. I was looking for someone who kept the party going but also did not blast the music so loud that people who had not seen each other in years would not be able to converse in the same room. I wanted djs who were not stereotypically cheesy, but who would keep the kids entertained. Again, I didn’t expect to have a lot of other entertainment or activities for the kids, so the dj had to hold their attention but not alienate the adults—or better yet, the adults would be motivated to join in. I did not know anyone who had used you, but reading online reviews and viewing your website made me think you’d be the right guys. Now, after the party, I know I made the right decision. I have received so many compliments from people of all ages. People implied that I must have given you a lot of instructions, but I said “not really.” Picking the right professionals is the key. Your entire staff was a pleasure to work with. From Charissa in the office to the dancers, Stevie and Julie, everyone was friendly and professional. You picked songs that ran the gamut, which is what we wanted, and kept things moving in a professional top notch fashion. Most importantly, Hannah had a great time. So, thank you! And please pass our thanks on to others on your staff as well.